A Russian woman accused of being a secret agent admitted Thursday that she conspired to infiltrate the American gun-rights movement to gather intelligence on conservative political groups as Donald Trump rose to power. WASHINGTON (AP) — A Russian gun-rights activist admitted Thursday that she was a secret agent for the Kremlin who tried to infiltrate conservative U.S. political groups as Donald Trump rose to power. “Guilty,” Butina said in a slight accent when asked how she wanted to plead. Dressed in a green jail uniform with her red hair pulled into a long ponytail, Butina spoke softly and mostly kept her eyes on the judge. The Butina case has provided a vivid glimpse into Russia’s influence operations in the United States at a time when the U.S. intelligence community has determined that Russia was trying to help elect Trump by releasing emails stolen from Democrats and conducting a social media campaign in an attempt to sow political discord. The case also lays bare how Russia tried to exploit one of the most sensitive social issues in the U.S. — gun control — to gain access to the political sphere. Court documents detail how Butina saw the Republican Party as prime for Russian influence and courted conservatives through networking and contacts with the NRA. She posed for photos with prominent Republicans, including former presidential candidates, and snagged a picture with Donald Trump Jr. at a 2016 NRA dinner. The case is separate from special counsel Robert Mueller’s investigation into Russian meddling in the 2016 U.S. presidential election. Prosecutors say it is “very likely” Butina will be deported after her sentence is completed. The charge carries a maximum sentence of five years in prison, though the defense noted Thursday that federal sentencing guidelines recommend no time to six months. She has been jailed since her arrest in July. According to her plea agreement, Butina’s work was directed by Torshin, a former longtime member of the Russian parliament who until recently was an official in Russia’s central bank. He is now under sanction by the Treasury Department for his ties to Russian President Vladimir Putin. In a 2015 proposal she crafted with Erickson’s help, Butina argued it was unlikely Russia would be able to exert influence using official channels and, as an alternative, suggested using back channel communications to build relationships with Republicans, according to court papers. 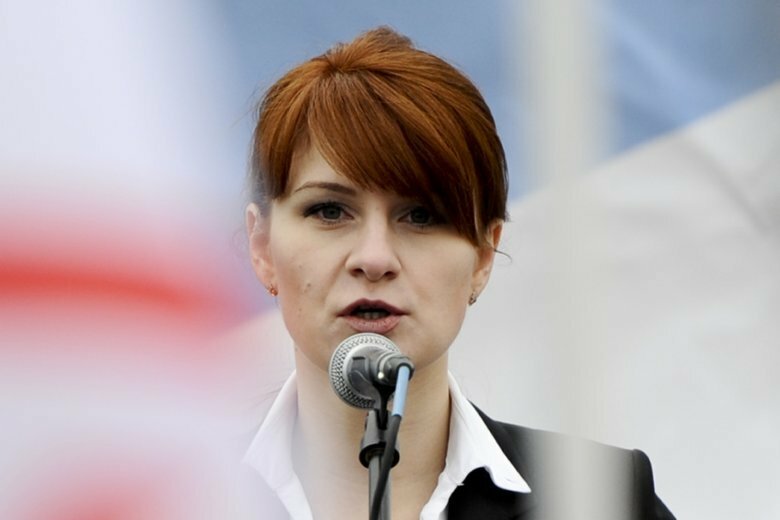 Pushing her travel to the U.S. and her work with the NRA as selling points, Butina argued that she had already “laid the groundwork for an unofficial channel of communication with the next U.S. administration.” She asked for $125,000 from an unnamed Russian billionaire to attend conferences in the U.S. and meet with people who she thought may have influence with the Republican Party and sent the proposal to Torshin. He responded by telling her the proposal would “be supported, at least in part,” according to court documents. Torshin also asked Butina to help justify him attending a national NRA meeting in 2016 and Butina encouraged his attendance “partly because of the opportunity to meet political candidates,” according to her plea agreement. In addition to attending numerous NRA events, Butina organized “friendship dinners” in Washington with influential political figures. In their filings, prosecutors have said federal agents found Butina had contact information for people suspected of working for Russia’s Federal Security Services, or FSB, the successor intelligence agency to the KGB. Inside her home, they found notes referring to a potential job offer from the FSB, according to the documents. Butina’s lawyer, Robert Driscoll, had previously decried the charges against her as “overblown” and said Butina was a student interested in American politics. On Thursday, prosecutors also appeared to have backed off their assertion that Butina’s attendance at American University was little more than a cover to enter the U.S. In their filing, prosecutors said “all available evidence” indicated she had a genuine interest in a graduate school education.